Combine first five ingredients in a 3-quart saucepan and bring to a rolling boil; reduce heat to medium and cook for 7 minutes, or until golden in color, stirring as needed. Remove from heat; stir in vanilla and grated orange peel. Serve warm. 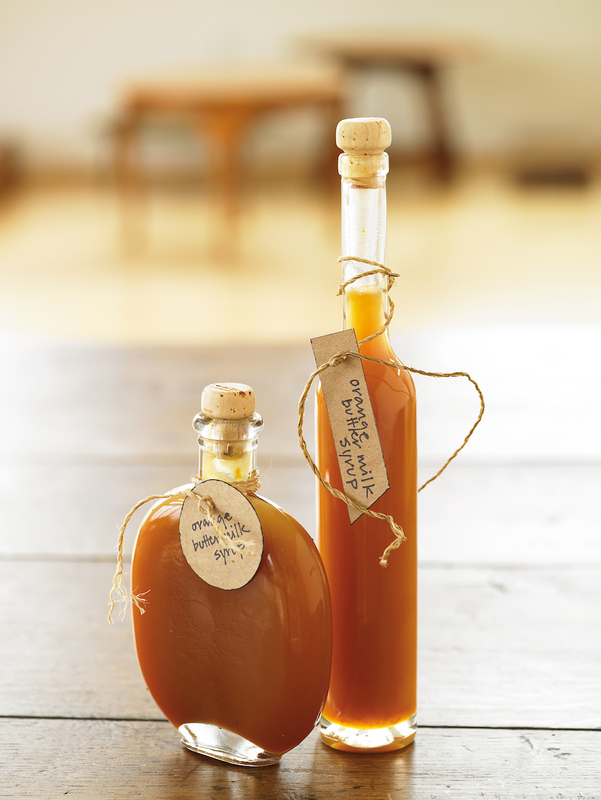 Top waffles, pancakes or ice cream with this versatile syrup.